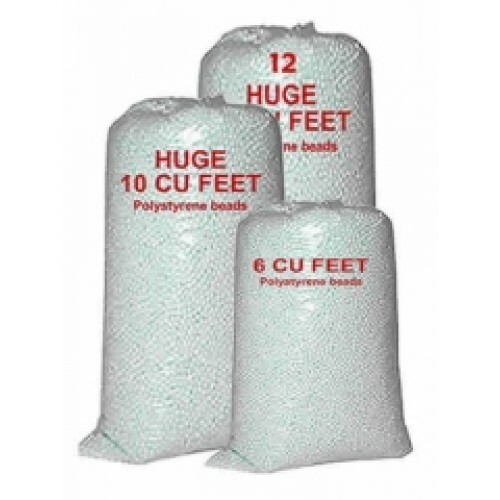 Beanbag Refill 6 cubic foot. Has your beanbag lost its comfort and looking slightly flat? 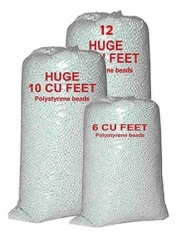 Simply pour the polystyrene beads into your beanbag to replenish the beanbags and bring it back to life! 'A' Grade - Best quality Polystyrene Beans, These are 'Virgin' beans - meaning they are manufactured from the original raw materials and not reconstituted or re-made from old and used polystyrene.